It’s a lot to handle, to be sure, and though the directors proved themselves capable of juggling numerous plates in Captain America: Civil War, this is a whole different beast and it’ll be interesting to see how they balance everything out. What’ll also be exciting to watch is how they handle some of the newer faces in the MCU. For many, the involvement of Doctor Strange is one of the most intriguing things about Avengers: Infinity War. After being brought to life in wonderful fashion by Benedict Cumberbatch back in November, the hero has quickly become a firm fan-favorite, with audiences eager to see him on screen again. Thankfully, they’ll get a chance to later this year, when the Sorcerer Supreme shows up in Thor: Ragnarok. His role in that film will be fairly minor though and as such, it’s really the upcoming Avengers flick where we’ll get to see him in a substantial part next. Or will we? 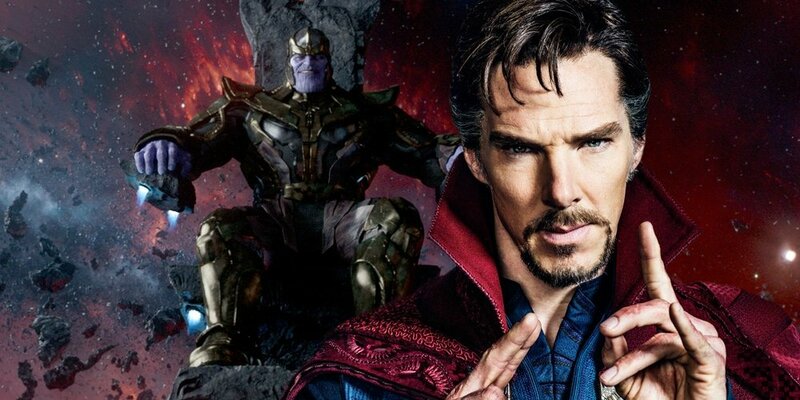 Back in January, rumors cropped up that said due to scheduling conflicts, Cumberbatch wouldn’t actually be featured in Infinity War all that much, with Marvel using a stand-in for most of his scenes and the actor just coming in at the end to record some lines and shoot a few close-ups. Well, it turns out things have changed, as Benedict Cumberbatch has now arrived on set in Atlanta, with confirmation coming from the Twitter account of his movement coach, Jay Funk. Though not a huge revelation by any means, the fact that he’s now joined the production does suggest that he’s going to be more heavily involved than we first thought. That being said, we still expect the film to mostly focus on the titular heroes, with characters like Strange, Black Panther, Captain Marvel and the rest of the new guard going on to feature more prominently in the still untitled Avengers 4. After all, it’s thought that Iron Man, Thor, Cap and the rest of the originals will bow out of the franchise at that point, making way for the newer heroes to take over. As such, we can definitely expect to see a lot more of Mr. Benedict Cumberbatch in the MCU moving forward, including another solo outing for his Sorcerer Supreme at some point. Avengers: Infinity War and its as-yet-untitled sequel will launch in May of 2018 and 2019, respectively, and if there’s one member of the Marvel Cinematic Universe that’s certainly looking forward to Joe and Anthony Russo’s titanic crossover, it’s Spider-Man. Speaking of which, Tom Holland’s Web-Head will headline an origin story of his own when Homecoming shoots for theatres on July 7th of this year.